Nelson Lazo is the chief executive officer of Doctors Hospital in Coral Gables and Miami Orthopedics & Sports Medicine Institute, both part of Baptist Health South Florida, the largest not-for-profit, faith-based healthcare organization in the region. Other affiliates include Baptist Hospital, Baptist Children’s Hospital, South Miami Hospital, Homestead Hospital, Mariners Hospital, West Kendall Baptist Hospital, Baptist Outpatient Services, Miami Cardiac & Vascular Institute and Baptist Health Foundation. As CEO, Mr. Lazo is responsible for overall administrative and operational management of the 281-bed, acute-care hospital and its more than 1,000 employees and the Institute — a Baptist Health Center of Excellence that provides world-class orthopedics and sports medicine care at eight locations. Mr. Lazo was named to his current position in January 2010 after serving as CEO of Baptist Health’s Mariners Hospital in Tavernier for three years. 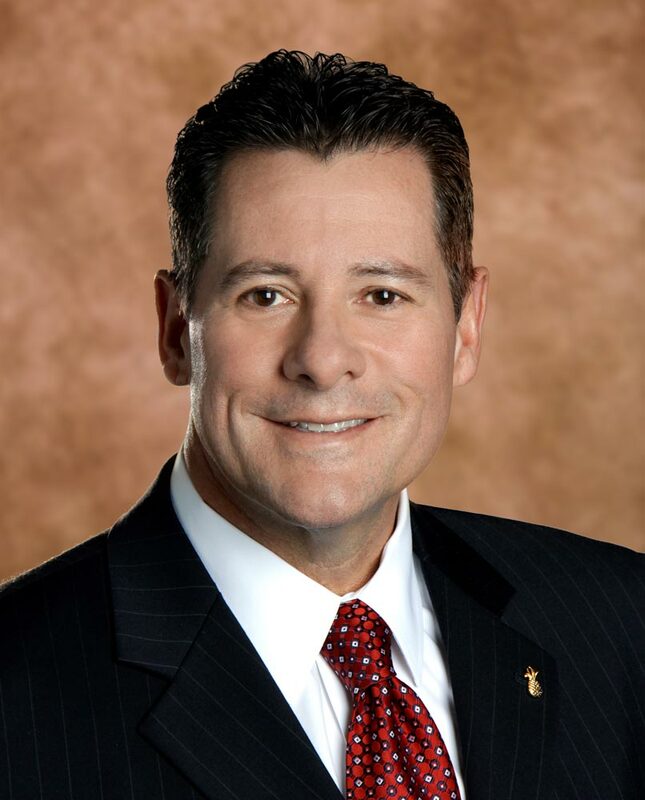 Prior to joining Baptist Health, he served as chief operating officer for Parkway Regional Medical Center in North Miami Beach; senior vice president and CEO of McNeal Hospital in Berwyn, Ill.; CEO and regional director of operations for HealthSouth Corporation; director of regional operations for Phymatrix in Atlanta; vice president of healthcare services for the Coker Group in Atlanta; vice president of operations for United Medical Corporation in Orlando; and vice president of support services as well as associate administrator for Miami’s Mercy Hospital. Mr. Lazo received his Bachelor of Science degree from Barry University in 1984. He went on to get his master’s degree in business administration in 1990 from Nova Southeastern University’s H. Wayne Huizenga School of Business and Entrepreneurship. In 2015, Barry University honored Mr. Lazo with a Distinguished Alumni Award for his achievements, contributions to the community and support of the university. He also was inducted into the 2010 Miami Dade College Alumni Hall of Fame in the field of healthcare. He is active in community organizations, serving on the board of directors for the Coral Gables Chamber of Commerce, Coral Gables Community Foundation, City of Coral Gables Health Facility Authority, The Cuba Corps and on the executive committee of the board of the Beacon Council. Mr. Lazo serves as the co-chair of the One Community One Goal program for the Beacon Council and is also on the Greater Miami Convention & Visitors Bureau’s Sports Tourism Advisory Committee. Prior to this appointment, he served as chairman of the program’s Life Sciences and Healthcare committee. He also is a member of the Orange Bowl Committee and the American College of Healthcare Executives. He served as chairman of the board of the Health Council of South Florida, Inc., and president of the Key Largo Chamber of Commerce. Mr. Lazo and his wife, Olga, live in Coral Gables. They are the parents of two grown children. He is an avid sportsman, enjoying activities such as fishing, boating and tennis.